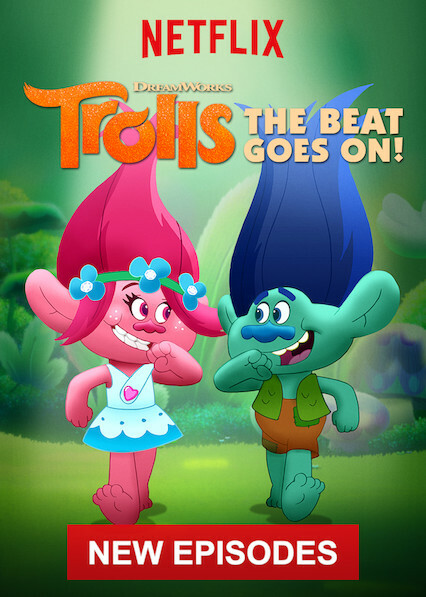 Info Page: Trolls: The Beat Goes On! Here is all the information you need about "Trolls: The Beat Goes On!" on Canadian Netflix. Details include the date it was added to Netflix in Canada, any known expiry dates and new episodes/seasons, the ratings and cast etc. So scroll down for more information or share the link on social media to let your friends know what you're watching. As Queen Poppy celebrates a time of peace in Troll Village with parties, competitions and special occasions, Branch tries to be more fun-loving.